Pat Sloan's QuiltersHome: Love and Kisses... It's February! It's February, the month of hugs and kisses. The month of sweet nothings. The month of love and hearts... I ADORE February! First thing you must do is see the February recipes on the Yummy recipes page, send me a photo of the goodies you make! 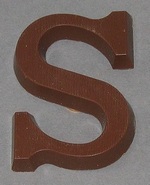 yes... that is my initial in chocolate... find chocolate letters at Dutch Foods.. how fun is THAT! 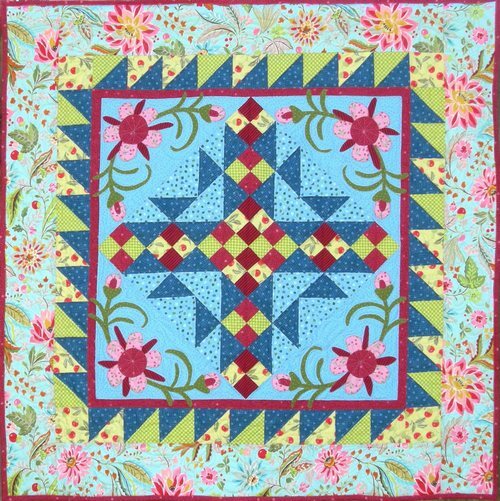 Ocean Breeze Quilt, designed for the cruise last month and it's available NOW! Every project I do has design criteria and guidelines. 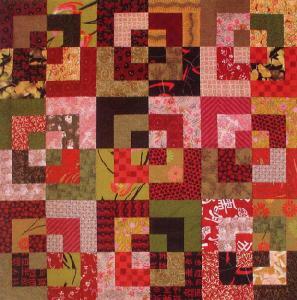 When making quilts for a book, the book has a theme and the quilts will generally fit the theme. When making quilts for a 'big event' trip I also have goals for the event quilt. 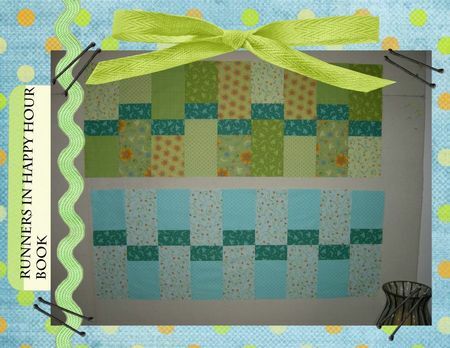 For 'Ocean Breeze' I created several goals for the quilt and designed the quilt to meet them. -First I wanted the quilt to be Caribbean without FEELING tropical. After all we were on VACATION on a CRUISE ship (woot woot!). So when I found the border fabric the whole quilt came together. -I taught the workshop in two parts.... each 3 hrs long. So the quilt was started from precut strips. In the first class we were sewing in less than an hour so everyone could get their 'sewing fix'. In Class two we practiced appliqué, although most people were continuing with their piecing for most of that day. 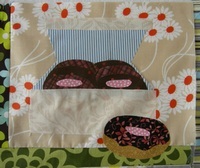 -And my last goal was to create a quilt with lots of interest that would appeal to a large group of quilters... I hope I did that! The baked goods are my favorite items at the market.. as well as my moms. Fresh breads, rolls and donuts... yummmm!! I have such wonderful memories of my Granny bringing home white bakery boxes. We'd peek inside to see what kind of awesome treat she had brought us. Granny worked at the market for a meat company and she worked the meat counter taking orders for lebanon baloney and white American cheese... what are your memories? New block, new books, come read the new write up... and let's chat!... woot woot! 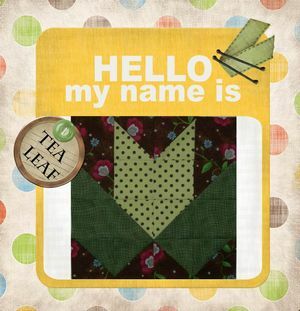 I went scouting around for some interesting and easy pieced quilts for you to make. I really like the runner in the book 'Happy Hour'. These two versions are made up in my Nikki fabric. The teal blue birds will be the binding... fast, fun and perfect to make each holiday! The Bento Box Pattern creates such an interesting design that I REALLY want to try this pattern. Do you know what a Bento Box is? The word 'Bento' is a single-portion takeout or home-packed meal common in Japanese cuisine. A traditional bento consists of rice, fish or meat, and one or more pickled or cooked vegetables as a side dish. Containers range from disposable mass produced to hand crafted lacquerware. There are also new stitcheries, two purses and magnetic clips (such a fun way to close a purse!). My next project to make up is the purse in my Nikki fabrics. And to start something new, I think 'Ring in the New' is perfect! 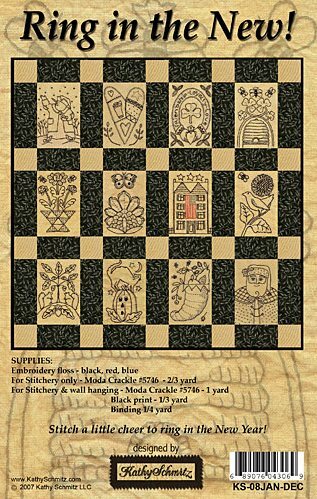 Each stitchery is small and works up quickly. Try stitching them on a tone on tone fabric for a really interesting mottled affect behind the image. Make the month as a single little quilt. Put it into a table runner, or do all 12 months for a wall hanging. 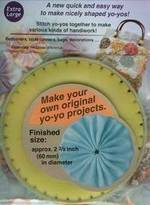 In case you missed it... a New Video on using the Yo-Yo Maker! "Trust your hunches. They're usually based on facts filed away just below the conscious level." About Dr. Joyce Brothers - The popular American psychologist and advice columnist Joyce Brothers first found fame by winning The $64,000 Question game show where she appeared as an expert in the subject area of boxing. I read in interview where she said she decided to pick a topic she didn't know anything about and learn as much as she could in order to win the show!